Americans have long had a love affair with the automobile. John Heitmann, professor of history at the University of Dayton, explores how we re-shaped the car as it has re-shaped us. 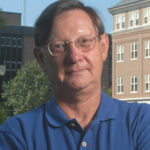 John Heitmann is a history professor at the University of Dayton. He received his Ph.D from the Johns Hopkins University in 1983. His research explores the connections between science, technology, economics and culture, particularly with regards to the history of the automobile. He’s the author of numerous works, including The Automobile and American Life, which was recently released in its second edition. He also maintains a blog under the same title. Heitmann is a past president of the Society of Automotive Historians. In his leisure time, he continues to restore and drive a 1971 Irish green Porsche 911T Targa. The automobile transformed American life. It gave us new freedoms and became part of our identities conveying our values, aspirations, and status. But Americans also subtly reshaped the automobile as a technological system__ both through market forces and government regulation. Over the years, federal legislation has funded road construction influenced driving habits and automotive design and regulated the car’s impact on the environment. Some mandates like the 1966 National Traffic and Motor Vehicle Safety Act are enduring. New cars sold in the U.S. were now required to have seat belts padded visors and dashboards dual braking systems, and standard bumper heights. Yet a number of these safety measures proved initially unpopular. The 1971 Federal Motor Vehicle Safety Standard No. 208 required unreliable seat belt/starter interlocks on all 1974 models. The car wouldn’t start until those in the front seat were buckled in and while there is some contested evidence this technology saved lives owners often disconnected them. Because of this, new car sales fell and politicians responded to complaints by dropping the interlocks for 1975. Mandates continue to be hotly debated today. The Trump administration is looking to roll back new fuel efficiency standards, which could ultimately suppress electric cars and continue the popularity of large SUVs. However, emerging technology has a life of its own. Expect more government intervention with new technologies like self-driving vehicles. With the wheel taken out of our hands, will we continue to love our cars? Only time will tell.